Samsung Galaxy Buds: what was interesting by the developers? Korean corporation Samsung is preparing for users a lot of surprises. The most interesting will be presented already on February 20 during the official presentation that will take place in San Francisco. In addition to the sophisticated smartphone, as well as the flagship Galaxy S10, the manufacturer will show a new generation of Galaxy Buds wireless headphones. If we talk about them, then the question arises, what’s interesting prepared by the developers? 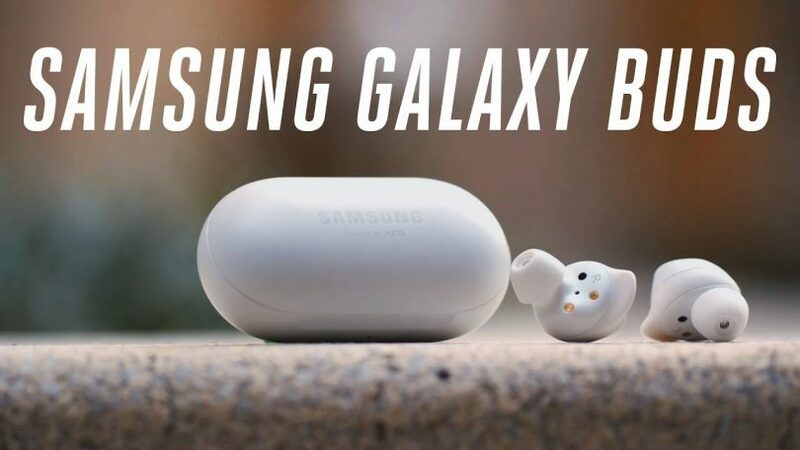 The answer to it will be the edition of SamMobile, which unveiled a fairly high quality Galaxy Buds rendering, as well as some features. It is noted that the design of the novelty will be a little different from the previous generation headphones – Gear IconX. The headset will be equipped with a battery of 58 mAh, as well as a special case with a battery of 252 mAh. It is noteworthy that wireless headphones will necessarily support wireless charging. In addition, developers have provided the fifth-generation Bluetooth as well as 8 gigabytes of permanent memory. The pleasures of many Galaxy Buds will be completely waterproof, thanks to the IPX2 standard. Users will be able to choose from three color variations: white, black or yellow. About the cost of wireless headphones from the Korean giant Samsung until nothing is known. However, they will definitely be cheaper than AirPods first and second generation, released by Apple.